Montreal’s Martine Charbonneau placed 6th in both the 1000-meter and 10km points/ elimination races at the Pan American Games in Gudelajara, Mexico. Charbonneau skated the 1000-meter in place of Morgane Echardour who wasn’t feeling well. Before returning home, the Canadian team marched along with athletes from 42 countries from across the Americas in a beautifully produced Closing Ceremony. 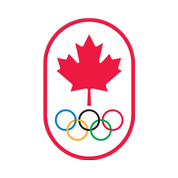 Toronto, Ontario will host the 2015 Pan American Games.